Disclaimer: For entertainment purposes only. No guarantees of any kind are given and we will not be held accountable for any interpretations made by recipient during a reading. You must be 18 years or older to place order. Information given during your reading will not replace medical, financial or legal professionals advice. For medical advice consult a physician, legal an attorney, financial an accountant/financer. No exceptions please. Please allow up to a 3 day turn-around on purchased readings. In many cases turn-around will be sooner depending upon our current schedules. Once we receive notification of your payment we will communicate with you via email. Alicia and Shawna will "tune-in" to the angelic realm to receive messages from your own spiritual team to help assist you with any questions you may have. 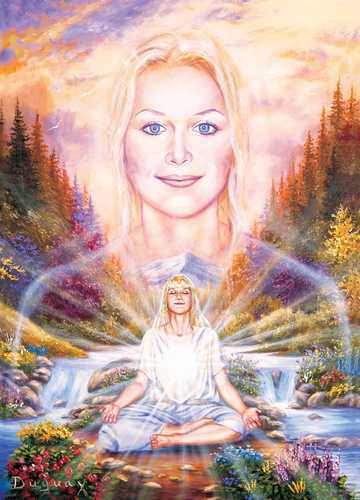 The information we provide is directly from the angels and delivered with the utmost compassion. Keep in mind that no outcome is "etched in stone" as we all have free will to make our own choices. The information provided in your reading is based on the current energy of the situation which you can change at any time based on your decisions.